One of the things I enjoy most about being vegan is venturing into uncharted territory and trying foods and recipes that are new to me. After 55 years of eating the standard American diet (SAD) to my detriment, it is fun to find new foods that are healthy, satisfying, and easy-to-make. A couple of weeks ago Joy and I bought a butternut squash. Before we went vegan I was mainly a yellow squash and zucchini kind of girl, but we have come to appreciate the beauty, texture, and taste of this variety. 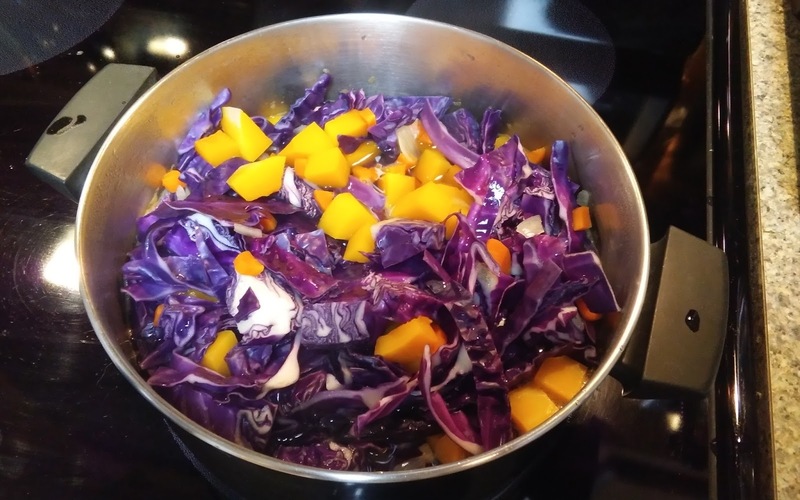 Since we had some red cabbage leftover from a previous recipe I decided to get creative and try my hand at making a butternut squash soup. It turned out better than I could have hoped -- even my non-vegan husband liked it! 1. Chop onions, dice carrots and cook in vegetable broth, until they begin to get tender. HINT: Beginning with step 1, cook everything in a large soup pot so you can keep adding yummy ingredients and minimize clean up! 2. 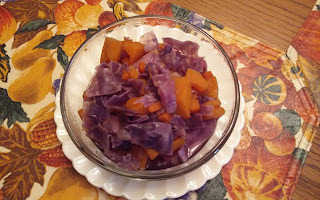 While onions and carrots are cooking, wash and chop purple cabbage. 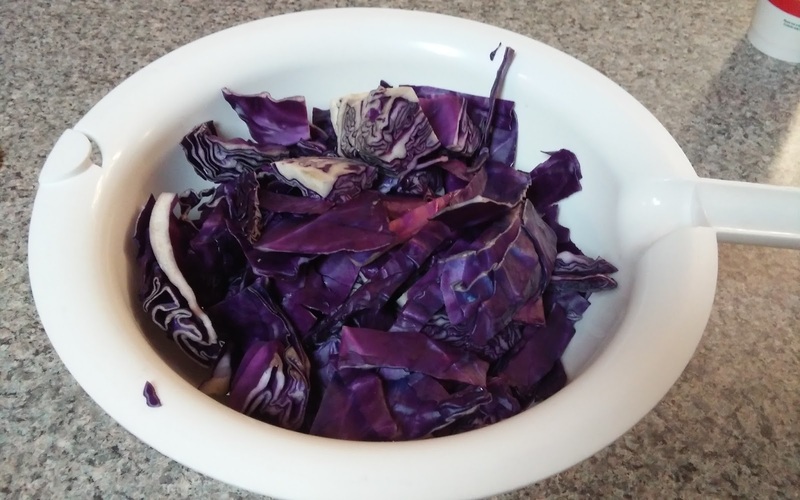 Add to the pot and cover so the cabbage can begin to steam. 3. While the cabbage and other veggies are cooking, peel and cube your butternut squash, then add to the pot. 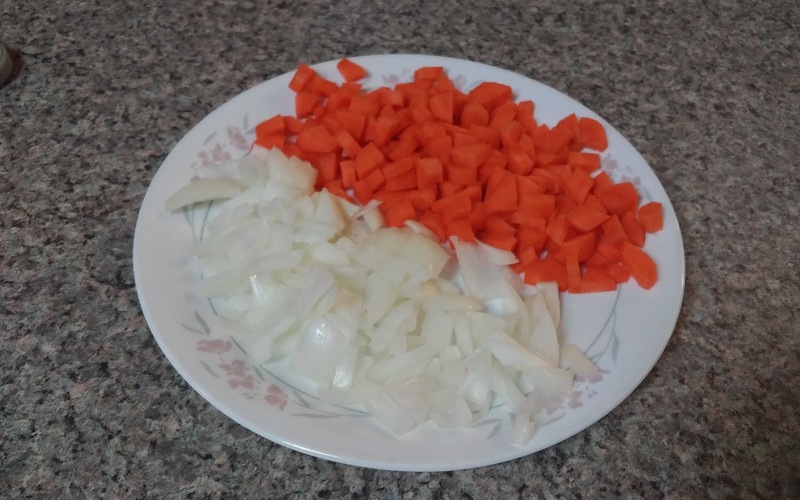 Add more vegetable broth during cooking, if needed, and cook until the vegetables are the desired consistency. Season to taste with salt and pepper (or other spices of your choice). Voila! A nice, colorful, tasty soup that is oil-free, cruelty-free, and chock full of vitamins, fiber, and yummy goodness. Enjoy!